Well, we are definitely into autumn now the soup recipes come out! 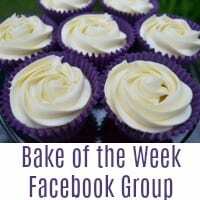 Another month has raced by so quickly and it is time once again for Secret Recipe Club reveal. 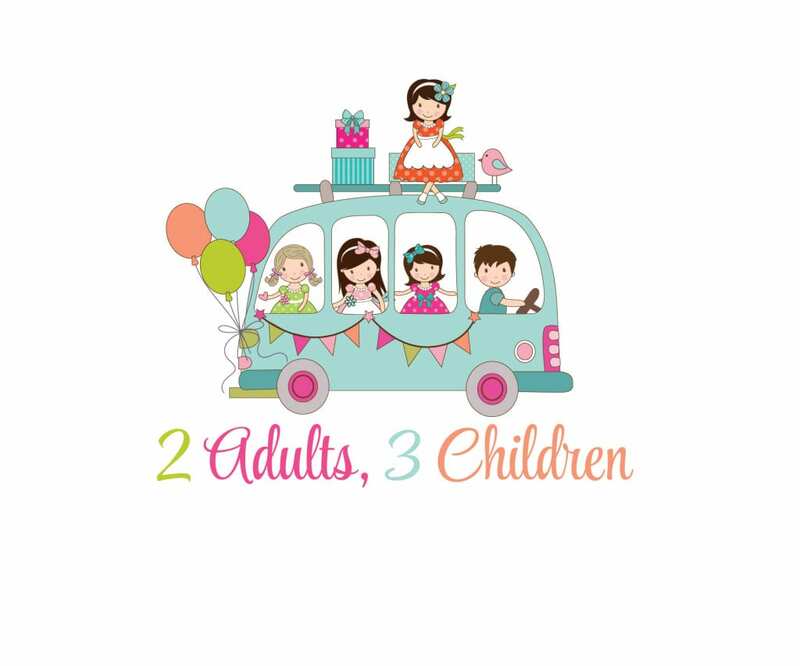 I was partnered with the lovely Claire from My Hobbie Lobbie. 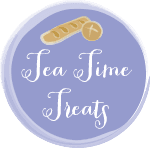 Claire was very kind about my blog last month and it has been an absolute pleasure to search through her blog this month, trying to choose just one recipe. I decided on the Homemade Split Pea and Ham Soup but have the Thai Chicken Salad and Stick Pork Ribs firmly on the list to make over the next few weeks too. 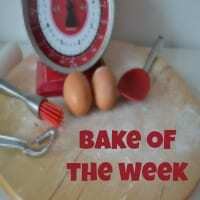 One of the reasons I love being part of the Secret Recipe Club is finding kindred spirits all over the blogosphere. I reckon me & Claire would get on just great – She love, love, LOVES baking and is a bit of a crochet addict just like me. Pity for me that she is based all over the other side of the world in Australia! 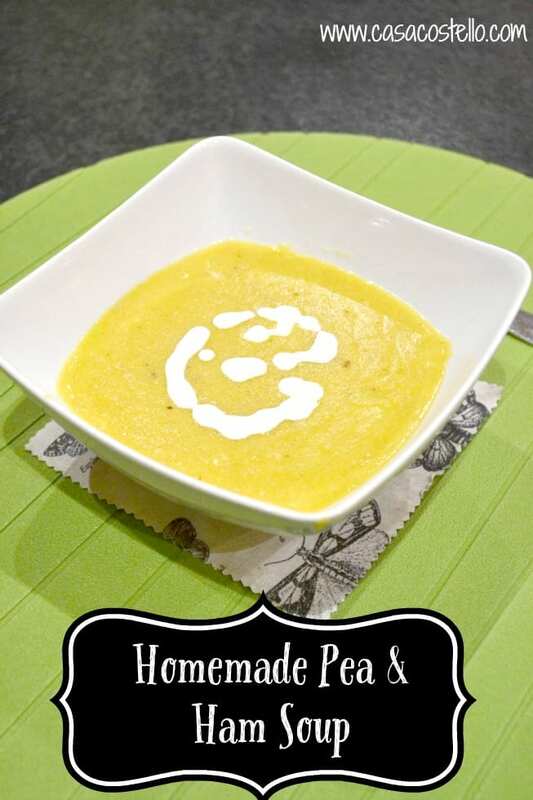 Anyway back to the soup – I’ve been looking for a good standard recipe for Pea & Ham Soup for a while. I’m also using up those blasted red lentils that have appeared in so many of my recipes over the past few months. I used these instead of Split Peas and they worked very well. I changed the recipe slightly to thicken it up by adding 10 Charlotte potatoes and blending them all together at the end. I must also admit to omitting the garlic – I’m just not a fan in some dishes. I thought the use of carrots in this soup was a great idea – I grated them and then blitzed them at the end too. We had some single cream to use up (Millie thought she would buy a huge pot just for her apple pie last night) so did a bit of a designer drizzle. I love soup weather and am excited to try a veggie version of this! It looks so smooth and silky! 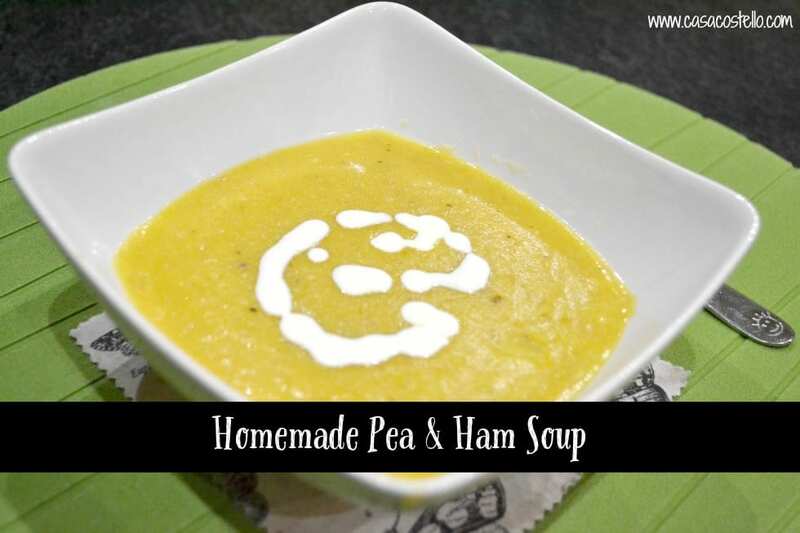 Big fan of pea and ham soup for winter, though never made it with red lentils instead of split peas before….nice twist. Its definitely soup weather this looks delish!